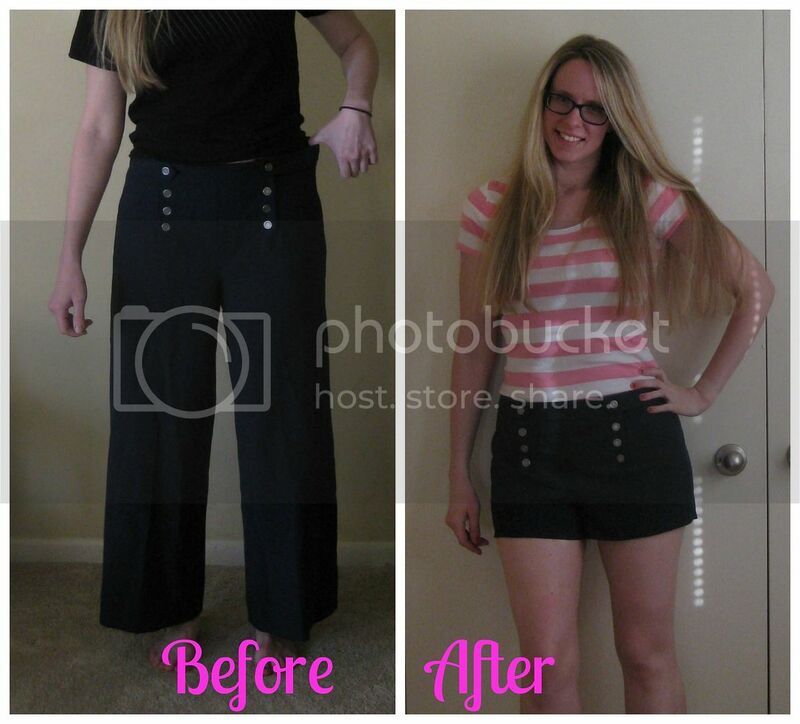 For more on this refashion, click here. Hey, someone just gave some pants just like that! Great idea! And you are right about shorts length. I have the same problem with heel height. Really cute short! Much better than the pants.